A 6.0R earthquake looks like a powerful aftershock was registered in PNG this afternoon, in the region where we had a major 7.5R recently. We were expecting today and tomorrow some strong events globally, as can be seen by the calendar below. Could this be the one? Time will tell. thing to take into account of. I say to you, I certainly get annoyed whilst other folks consider issues that they just don't know about. 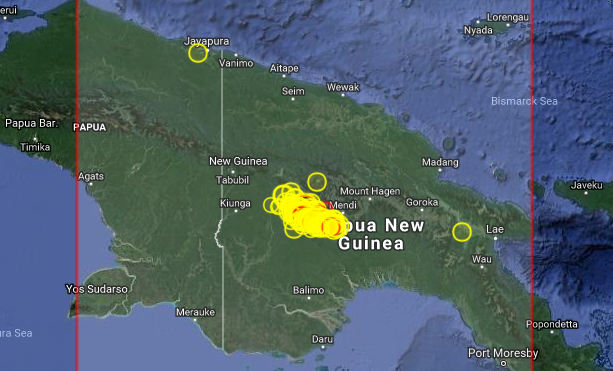 Thanks for finally writing about >"6.0R in Papua New Guinea" <Liked it!